While no world leader uses Twitter quite like Donald Trump, it’s still an arena where power and prestige are distributed. A presidential follow counts for a lot. 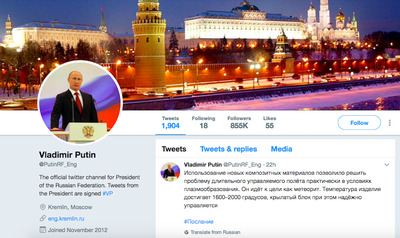 Russian President Vladimir Putin follows just 19 accounts from his English-speaking handle – and they’re a weird mix of politicians, many of whom are accused of corruption, and one of whom died in 2013. And no Trump. This is @PutinRF_Eng, the Russian President’s English-language account. His cover photo is of his home and office, the Kremlin. As you can see, though, it sometimes tweets in Russian anyway. 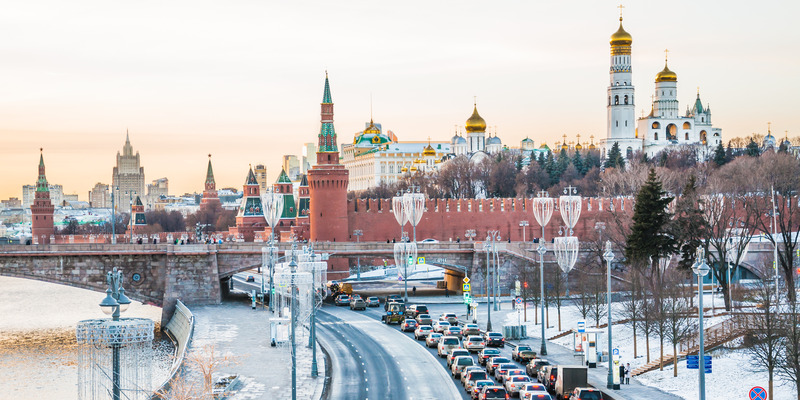 The latest round of Russian-language tweets were posted during Putin’s annual state of the nation speech on Thursday, when he unveiled the country’s new nuclear weapons. According to his Twitter bio, tweets from Putin himself are signed with “VP.” Business Insider found no such tweets from this account. While this may suggest that Putin isn’t checking his Twitter feed very often, the people he has chosen to follow does speak volumes. 1. Himself — or, at least, his Russian-language account. It posts exactly the same things as his English-language account — photo ops, meetings, and official events — but in Russian. 2. He also follows the official Twitter feed of Russia, the country. Pressphotos/GettyChavez and Putin in Moscow in 2006. Chavez’s account mysteriously tweeted a graphic containing a quote from the dead president last month. Before that, the account had remained untouched since February 18, 2013 – 15 days before his death. It turned out that the Twitter account was revived by Chavez’s daughter, Maria Gabriela, who announced that her foundation would revive his account. 4. Dilma Rousseff, ex-President of Brazil. She was removed from office in August 2016 after being impeached for hiding her country’s economic woes in order to win an election in 2014. 5. Cristina Fernandez de Kirchner, who served as President of Argentina from 2007 to 2015. Before that, she was its First Lady for four years. She faced several corruption scandals during her presidency, and an Argentinian judge ordered her arrest last December. 6. Ricardo Martinelli, who was President of Panama from 2009 to 2014. He moved to Miami after his term. Interpol ordered his extradition back to Panama last May after he was accused of embezzlement and illegally spying on his political opponents and business rivals during his term. 7. Donald Tusk, current President of the European Council and former Polish Prime Minister. 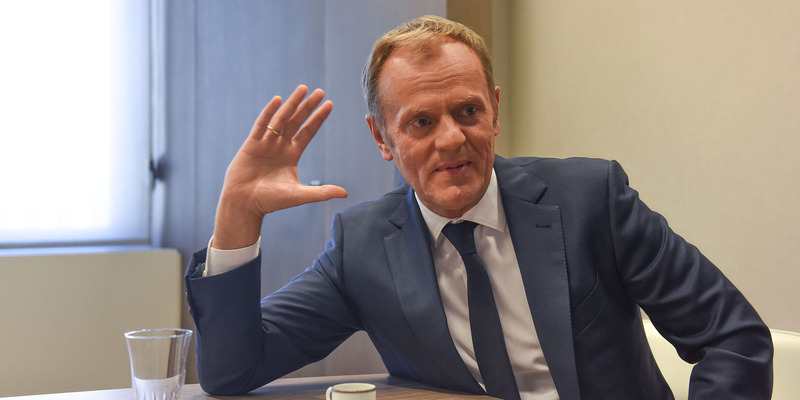 Tusk sought close relations with Putin during his premiership. Poland’s current ruling party last year accused Tusk of signing an “illegal agreement” with Putin, without specifying the details of the deal. 8. Nicolas Sarkozy, ex-President of France. After he left office in 2012, Sarkozy has met Putin at least four times, and made statements sympathetic to Russia. When he was running for election in 2016, he said the EU should lift sanctions on Russia and even endorsed its annexation of Crimea. 9. Gerard Larcher, Speaker of the French Senate. He met Putin in Moscow twice between 2015 and 2016, and like Sarkozy, has also said he was willing to discuss lifting sanctions against Russia. France still imposes heavy sanctions on Russia through the EU. 10. Narendra Modi, Prime Minister of India. The two leaders met a few times last year, during which they discussed their countries’ burgeoning trade ties in the energy sector. They were so friendly with each other at a meeting in St Petersburg last June, they even held hands more than once. 11. Igor Dodon, President of Moldova, a former Soviet Union republic. Dodon, who mainly tweets in Russian, appears to be quite a big fan of Putin — he called Putin a “patriot” that his own country needs. 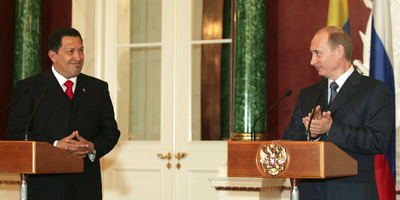 He has also called for closer relations with Russia and said that Moldova shouldn’t join NATO. 12. Nicos Anastasiades, President of Cyprus. He tweets in English and Greek, which — as far as we know — Putin doesn’t speak. Cyprus is one of Russia’s most popular tourist destinations and a huge recipient of investment by rich Russians. 13. Juan Manuel Santos, President of Colombia. There’s no obvious reason for this connection, and the two do not appear to have met. 14. Aleksandar Vucic, the President of Serbia, who also tweets in Russian. The two leaders met in Moscow last December. 15. The official Twitter account of the Mali presidency, which headed by Ibrahim Boubacar Keita. Mali and Russia have cordial bilateral relations. 16. The official account of the FIFA World Cup, which Russia is hosting this summer. 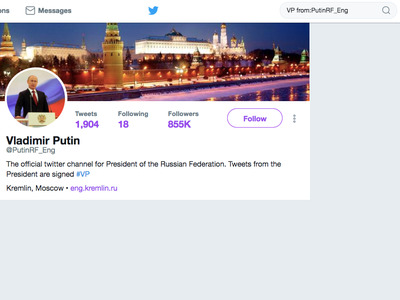 Putin followed this account some time in March 2018. 19. … and Russia’s mission to the Organisation for Security and Co-operation in Europe, headed by Alexander Lukashevich.